Rio Tinto (ASX, LON:RIO), the world’s second largest miner, will invest a further $302 million to advance its Resolution copper project, in the U.S. state of Arizona, as part of its drive to increase its exposure to the red metal, used in everything from electric vehicles to batteries. The extra financing brings the total injected by Rio, which owns a 55% interest in the project, and its Resolution partner BHP (ASX, NYSE: BHP), which owns the remaining 45% interest, to over $2 billion since 2004. The funds will be used bank-roll additional drilling, ore-body studies, infrastructure improvements and permitting activities needed to advance the project to the final stage of the permitting phase, Rio said in the statement. Electric vehicles, battery storage, new transmission technology and other green energy innovations are highly copper intensive and Rio wants to be prepared to meet the upcoming demand. “Resolution is one of the most significant undeveloped copper deposits in the world and this additional funding demonstrates Rio Tinto's commitment to bring the mine into production," chief executive Jean-Sébastien Jacques said. Electric vehicles, battery storage, new transmission technology and other green energy innovations are highly copper intensive and the company wants to be prepared to meet that demand. “Resolution is one of the most significant undeveloped copper deposits in the world [and it] will be well positioned to provide North American manufacturers the copper that is essential to their products,” Jacques said. Resolution has an indicated and inferred resource of 1.78 billion tonnes at 1.53% copper. Once in production, which is unlikely to happen before 2030, the mine expected to supply almost a quarter of US demand for the metal for 40 years. Rio has said it’s studying ways to open Resolution sooner — about a year or two — by making engineering changes, but nothing has been finalized. The project sits on U.S. federal land, which makes its development more complicated than those that are on private land. The U.S. Forest Service is expected to post a draft environmental study on the project by this summer, after which American Indian groups and others will be able to give feedback. 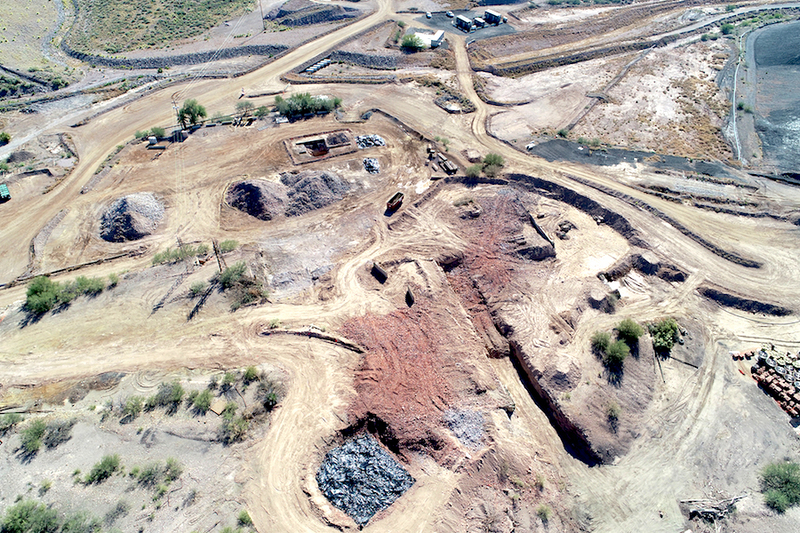 Rio is advancing several other copper projects, such as Winu, the Citadel project with Antipa Minerals (ASX:AZY) in Western Australia, and Berenguela, in south-eastern Peru. It has also applied for exploration permits in northern Chile, the world’s top copper producing nation. Analysts have questioned Rio’s ability to scale up its copper business quickly, without making an expensive acquisition. The company recently had to delay first production from the $5.3 billion underground expansion of its Oyu Tolgoi copper-gold-silver mine in Mongolia. Originally scheduled for early 2020, it's now expected to happen in the third quarter of 2021. In December, Rio sold its entire interest in the Grasberg mine in Indonesia, the world’s second-biggest copper mine, as part of a deal that put an end to years of disagreements between operator Freeport McMoRan (NYSE:FCX) and the country’s government. The company believes the copper market will go into deficit by 2020 as it faces declining supplies and increasing demand coming from the electric vehicles sector, infrastructure and renewable technologies.